Purefecto: Hottest Fashion Brand right now! Hottest Fashion Brand right now! Well, if you have been loosely following fashion news, you probably know that Gucci, Valentino, and Saint Laurent Paris are the "in" brands right now. If you follow fashion closely, you would know that Hedi Slimane had left SLP in the spring which makes this FW2016 collection his last one. And let's not forget the latest news at Valentino is that Maria Grazia Chiuri jumped ship to House of Dior and left Pierpaolo Piccioli at its helm as sole creative director. Given the messiness of "divorces", the only steady ship within this trio is Alessandro Michele who took helm of Gucci just last year! Whew, are your heads spinning yet?! This new Gucci is far from Frida Giannini's. I felt she played safe and pretty much just rehashed what Tom Ford did. But then again, it's hard to follow Tom Ford... after all, he did revived a pretty much dead brand that was heading the way of Pierre Cardin. 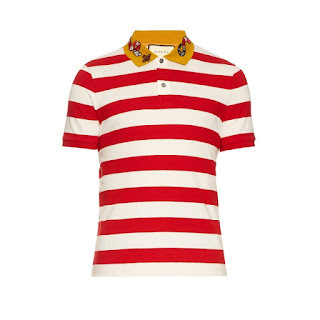 However, it's hard to recall such a quick resurgence of a brand within such short gap between its last revival. Much credit to Alessandro that he was able to execute his vision flawlessly. Regardless if you like the new Gucci look or not, at least it's not a rehash of Tom Ford's vision. 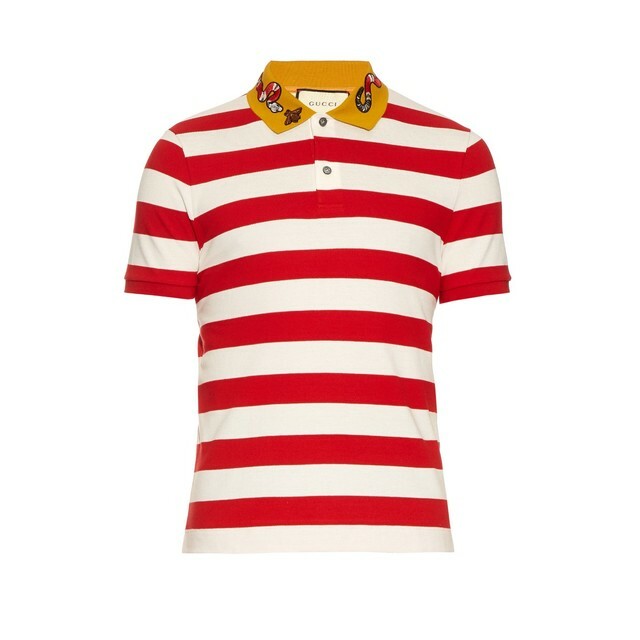 Cotton Polo with Snake embroidery; I like the embroidery around the collar. 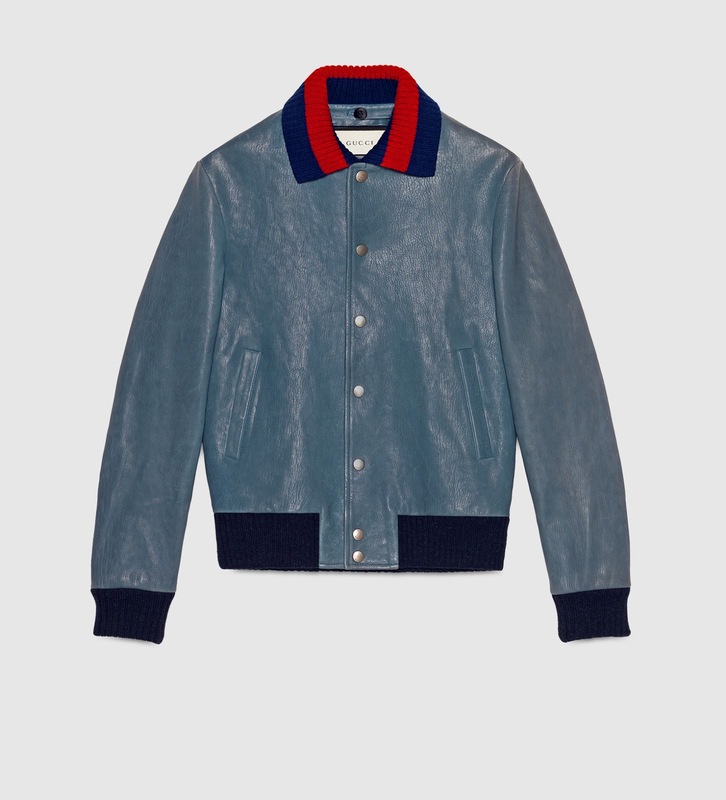 Leather jacket with embroideries; I love this blue. 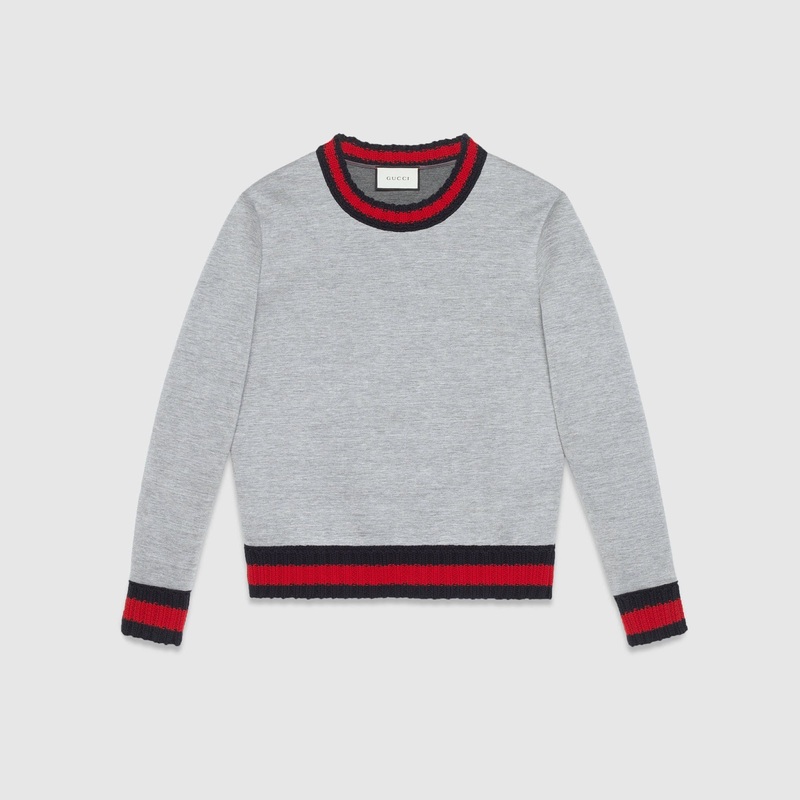 Viscose jersey sweatshirt with web; I don't wear that much sweatshirts but I thought putting webbing on a sweatshirt is interesting. 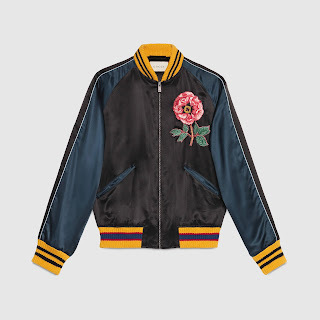 Silk bomber jacket with embroideries; I love the new trend of souvenir jackets so bring on embroideries! A perfect Christmas gift for that Fashionista!